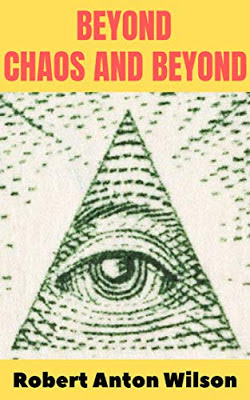 The new RAW book, Beyond Chaos and Beyond, is still only available as a Kindle ebook, but Scott Apel assures me it will available soon as a paper book. He writes, "Since I published the ebook of Beyond Chaos and Beyond, in January, I have been diligently working with my own books to transform the ebooks into Print On Demand books. This has taken a lot longer than I'd expected, but I'm plowing ahead, and learning more about how to create a good-looking POD version with each new entry. "The upshot is that BCAB will probably be the next ebook I convert into a POD book, so (barring obstacles, of which I have encountered many while learning the POD format process), a print version should be available sometime around the end of April or early May." Apel's book of interviews I have previously recommended, Science Fiction: An Oral History, which includes a RAW interview and which I recommended, is available now as a paperback, although you can still get the Kindle version for just 99 cents.